Since it's Earth Day, I thought it would be nice to do a round up of all the Disney Park Map posts I've done in the last year or so. As we all know, Jimminy Cricket wants us all to be responsible with our resources and think about our environment! 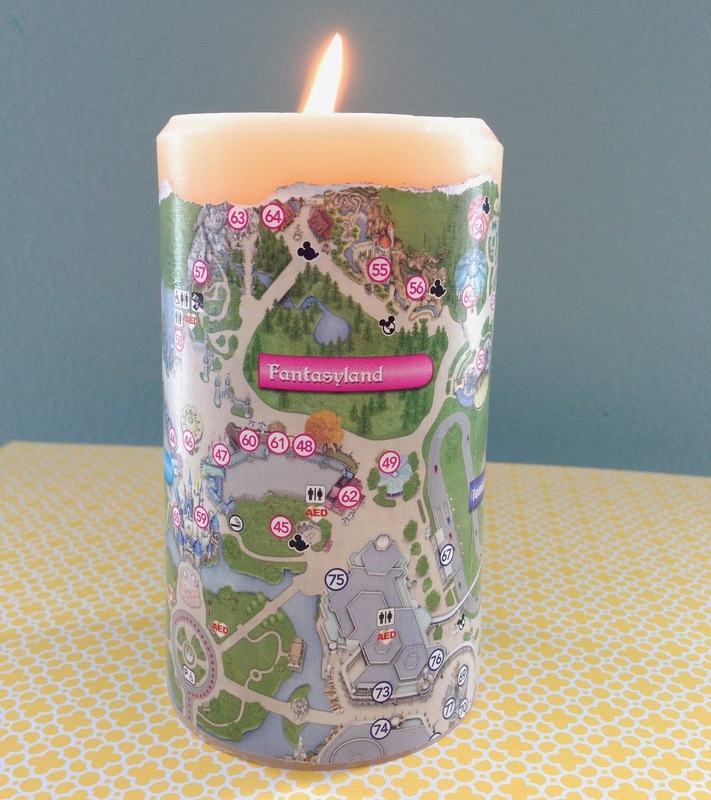 These projects are a fun Disney way to incorporate the three Rs into your Disney trips: reduce, reuse and recycle! 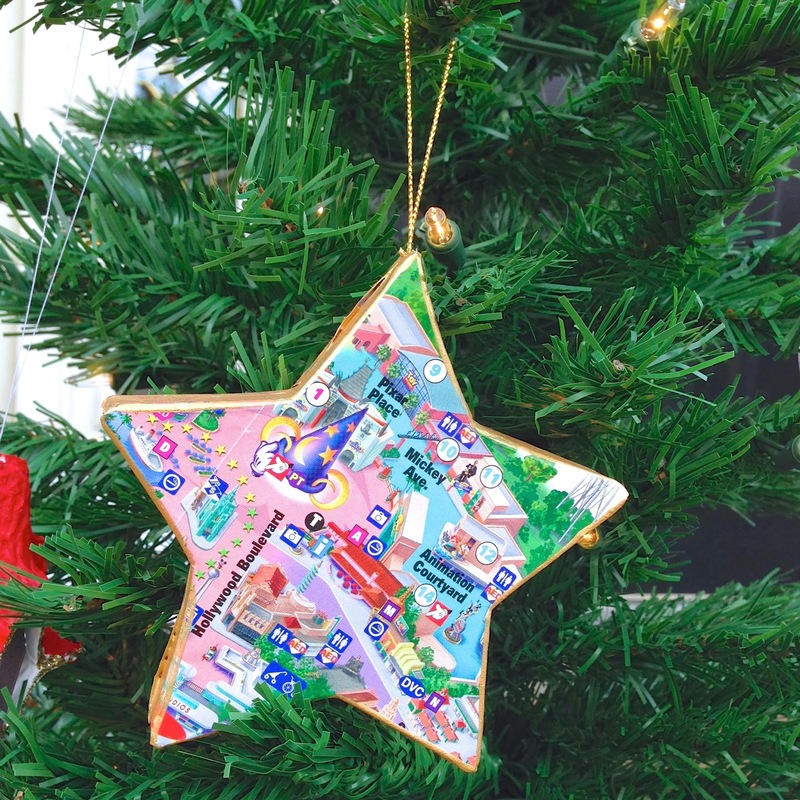 First up, make a Disney park map gift bag! 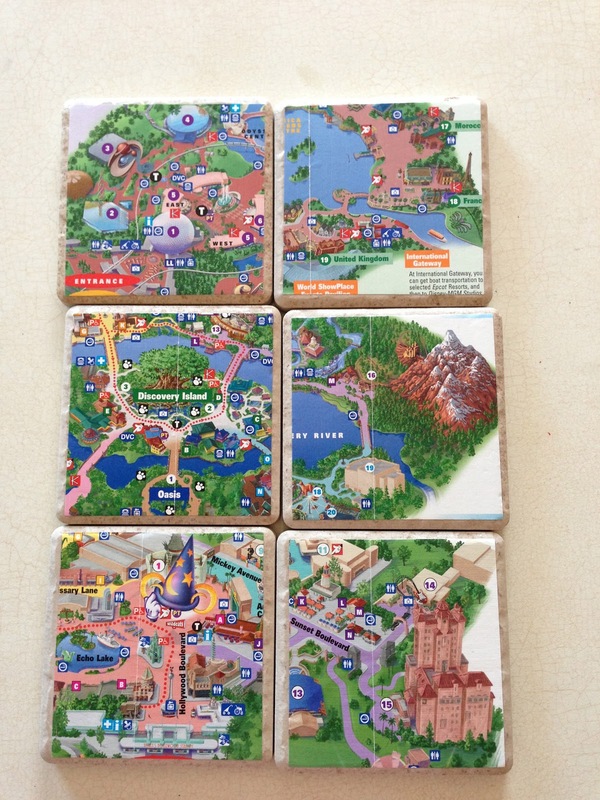 Or you could make some fun coasters from ceramic tiles and your Disney park maps. 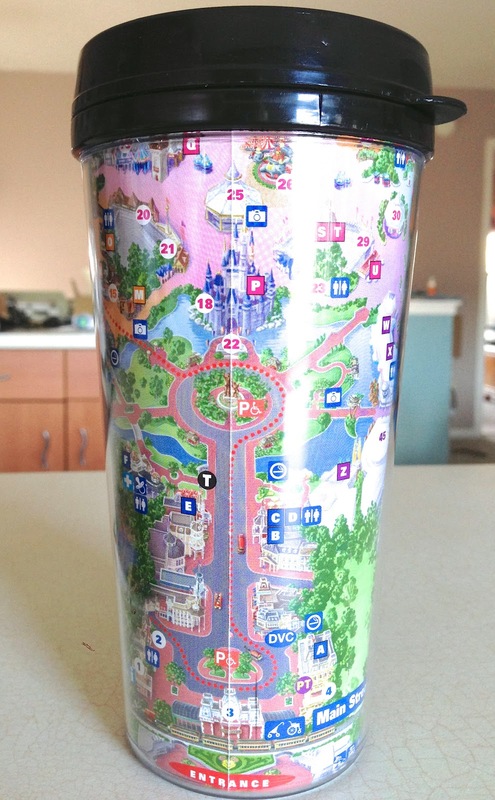 You could use them as an insert for an insulated travel mug, so you always have a little Disney with you. 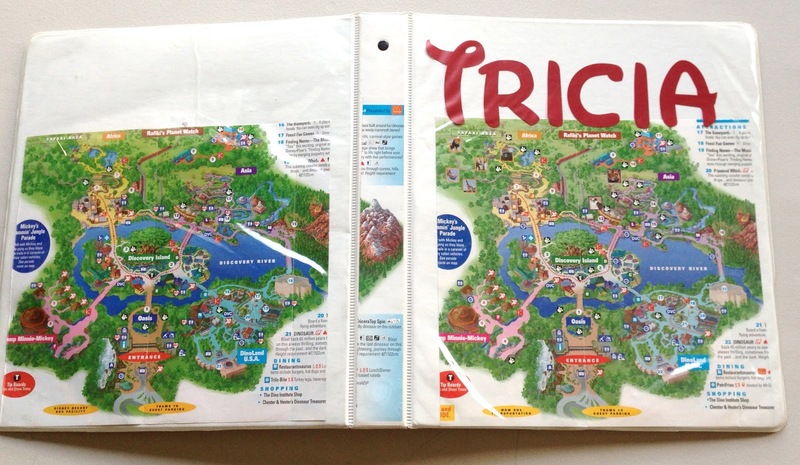 You could also insert a Disney park map into a three-ring binder for an instant Disney boost at work or at school! 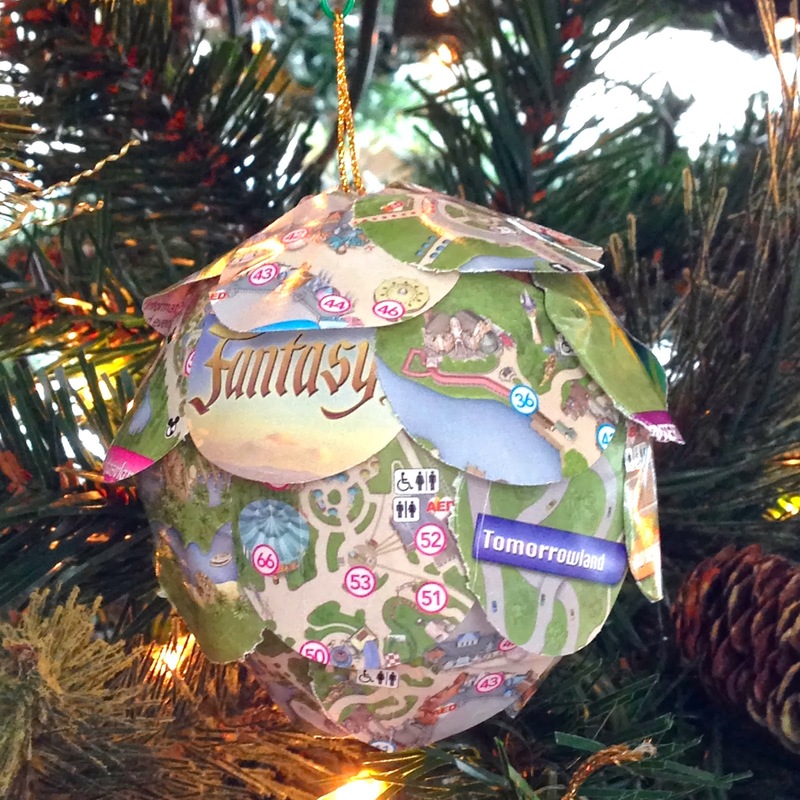 You could decoupage an ornament for the holidays, or create this orb ornament. You could decoupage a candle for your home (or a gift!) with Disney park maps too. 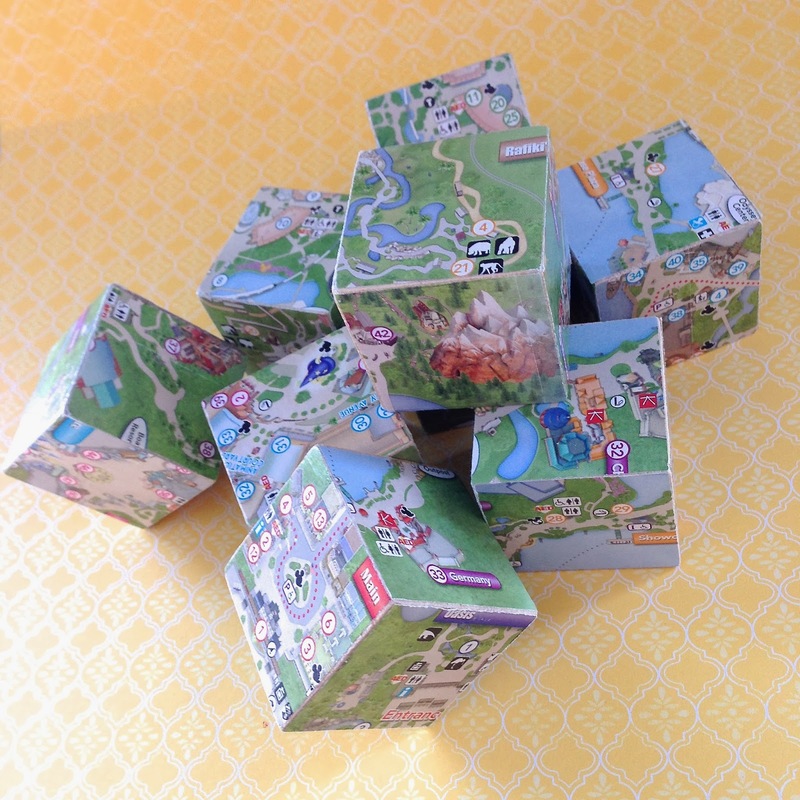 And finally, you could use your Disney park maps to make a block puzzle suitable for your coffee table or your next road trip box. What ever you decide to do, we hope you remember to reduce, reuse and recycle those maps. Until next time, may all your days be filled with fairy dust! 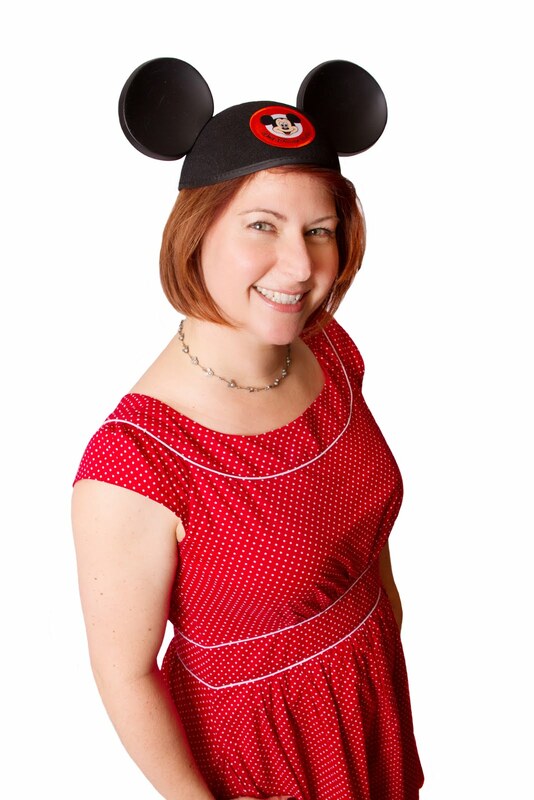 Disney Morning Person T-shirts Now Available!